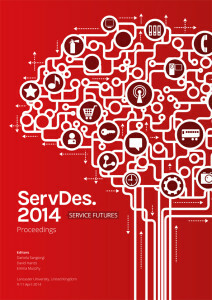 Feedback from service customers, gathered through the RECORD online Living Lab, was presented in a paper at the ServDes 2014 conference for service design and innovation. In the paper, we show that while customers tend to highlight acts of friendliness and benevolence when they provide examples of great customer care, they do not highlight these aspects of customer care when considering what they expect form customer care in service sectors such as banking, telecom, and logistics. We conclude that this may indicate an opportunity, as service providers in this sectors may benefit highly on becoming more oriented towards affective expereinces.